Our page, Project Related Bibliography, has been updated. Check it out and find out why we have a page titled that. It is now possible to download articles on our website. Check them out under Publications. It has to be noted that due to copyright of some of the articles, we are not able to make them accesible. However, the majority of them are accesible, so feel free to download and study the articles. Axel Gering will present the Ostia-Forum-Project and its latest results at the Humboldt-Universität zu Berlin, Unter den Linden 6, Thursday the 23rd March 2017 at 19.00 o’clock. 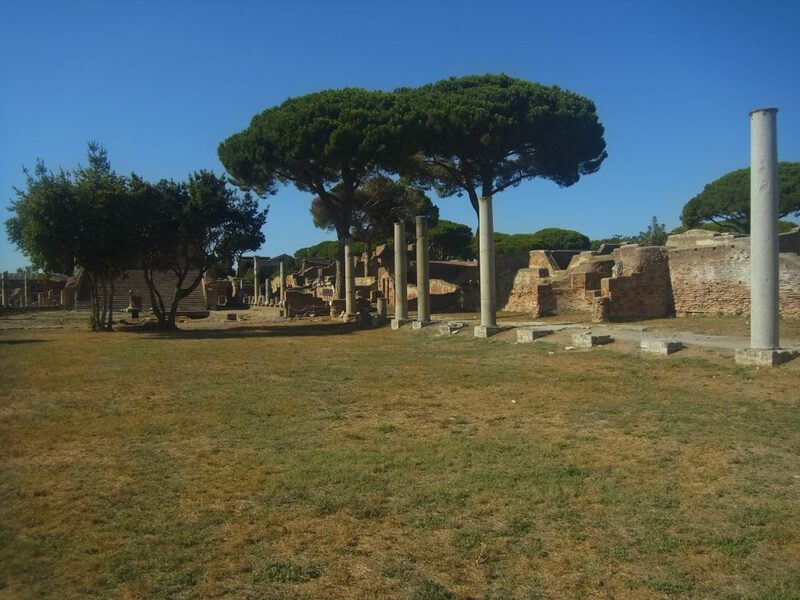 The presentation is titled: “Die Ausgrabungen in Ostia: Von alten Tempeln, Küchen und neue Perspektiven in der Archäologie”, and will be held in room 2094, organised by the Stiftung Humboldt-Universität (SHU). Two new projects have been added to the section Subprojects. The first project is a habilitation-project conducted by dr. Laura Pecchioli. The second project is a ph.d.-project conducted by Daniel Damgaard. Chapter 2 of 2016 is now online! After looking through our data from this year’s campaign, we proudly present chapter 2. Chapter 1 of the 2016 campaign is now online! Chapter 1 regarding our excavation of 2016 can now be seen and read online here. Photo-gallery of 2016 is now online! The beautiful storytelling pictures of our 2016 campaign are now online. Daniel Damgaard will, from Monday the 17th of October, commence a Ph.d. at the Humboldt-Universität zu Berlin, Winckelmann-Institut für Archäologie, through a scholarship with the Ostia-Forum-Project.